Supplies of Microsoft’s new tablet are plentiful on launch day, but the Surface Book laptop is much trickier to find. 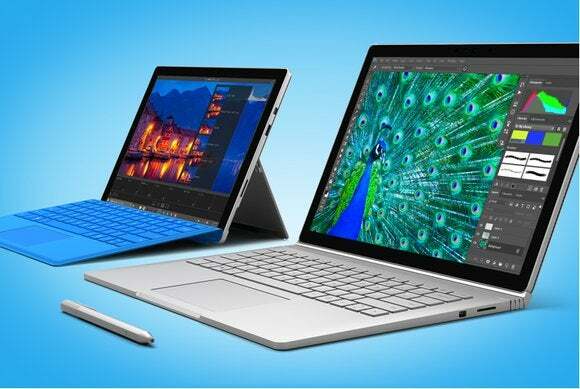 The official release date for Microsoft’s Surface Pro 4 tablet and Surface Book laptop has arrived, but you might have trouble getting the model you want anytime soon. As of this writing, the Surface Pro 4 with Intel Core m3 and Intel Core i5 are available for immediate shipping from the Microsoft Store, as is the Surface Pro 4 Type Cover in most colors. Best Buy is selling the new tablet as well, in many cases with in-store pickup available today. However, the Core i7 version of the Surface Pro 4 is not available yet, with Microsoft listing a November 20 ship date. Also, Microsoft is not yet selling a Core i5 model with 16GB of RAM, though it plans to do so in the future. As for the Surface Book, none of the models with an official October 26 launch date are shipping immediately through the Microsoft Store. Some versions list a four- to five-week shipping window, while others list six to seven weeks. The high-end 1 TB model won’t ship until January, and Microsoft seems to have removed the entry-level model’s Nvidia graphics card option, which appeared last week. If you want a Surface Book today, you might have some luck at Best Buy. In my neck of Cincinnati, some stores have the Core i7 model with 256 GB of storage in stock, but that’s it. The impact on you at home: If you were interested in the Surface Book but wanted to wait for some reviews and benchmarks before pulling the trigger, you’re likely out of luck on launch day; pre-orders began selling out even before the first reviews went live. Fortunately for those faithful buyers, reviews have been largely positive, praising the laptop as being worth the price for those willing to spend it. If you’re still on the fence, check out our own processor and hardware comparisons for more advice.